We all have this mildly narcissistic tendency to wear things that project a little bit about ourselves. Admit it: Whether it's your school colors or the print on your graphic tees, style is an inevitable outlet for self-expression. Sneakers are an especially potent way of referencing your other interests, if only for the sheer variety of colorways and our tendencies to name them. 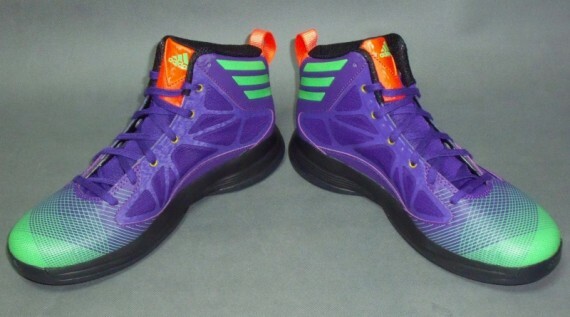 If you're a sneakerhead who also happens to be into Batman, your purple-and-green Kobes are suddenly your "Joker 5s." It's just another way by which sneaker culture unites and divides, cutting across a lot of different enthusiast-subcultures. One such subculture is that of the animé/manga enthusiast (or otakus). Japanese pop culture certainly isn't the first thing that comes to mind when you think of sneakers, but there are a few uncanny references between the two, every now and again. 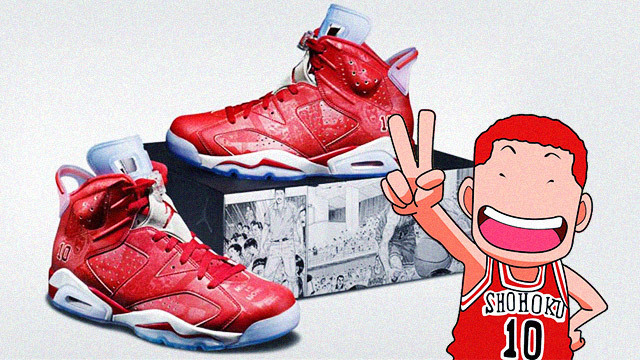 If there's any single animé that sneakerheads identify with, it's Slam Dunk. In the '90s, simultaneous with Michael Jordan's rise to greatness, an illustrator named Takehiko Inoue created Slam Dunk—an animé series about a brash teen who wasn't really into basketball at first but then found a liking to the sport and steadily improved his varsity play. Greatly inspired by Jordan, Inoue made it a point to draw Air Jordans on the feet of his characters while they were on the court. 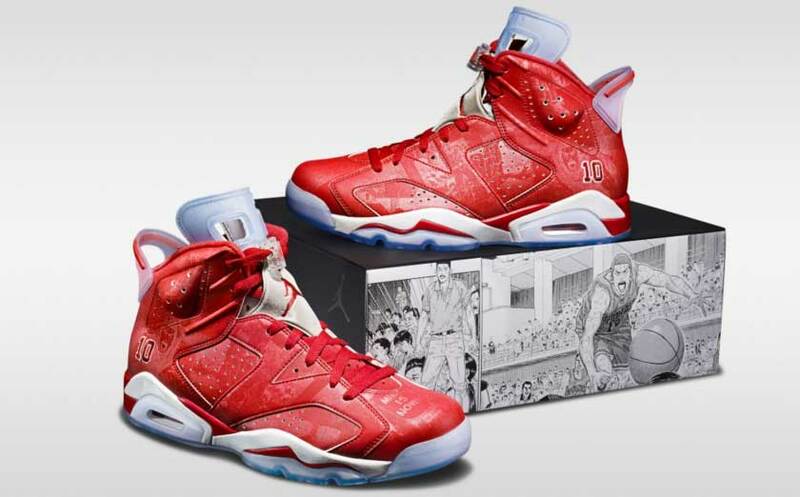 In 2014, the Jordan Brand commemorated this early intersection of cultures with an Air Jordan 6 and a Super.Fly 3 in special Slam Dunk colorways. Look closely at both and you'll see manga panels printed on the shoes—Inoue claims that these are outtakes of Sakuragi's narrative, picking up from where the manga left off. The Ventilator, which made a huge comeback last year, was also done up in a pair of Gundam-themed colorways: one for the Zaku II and another for the RX 78-2 mobile suit. These were previewed at the Sole Academy Sneaker Carnival last year, where they quickly became the center of attraction at Reebok's installation. 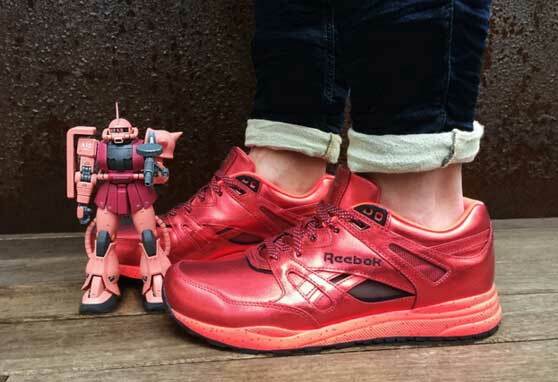 Reebok Instapump Fury "Gundam Pack"
But before the Ventilators, Reebok had already done a pair of Gundam colorways. Previously, it was with the Instapump Fury, still paying tribute to the same mobile suits in the hit animé series. 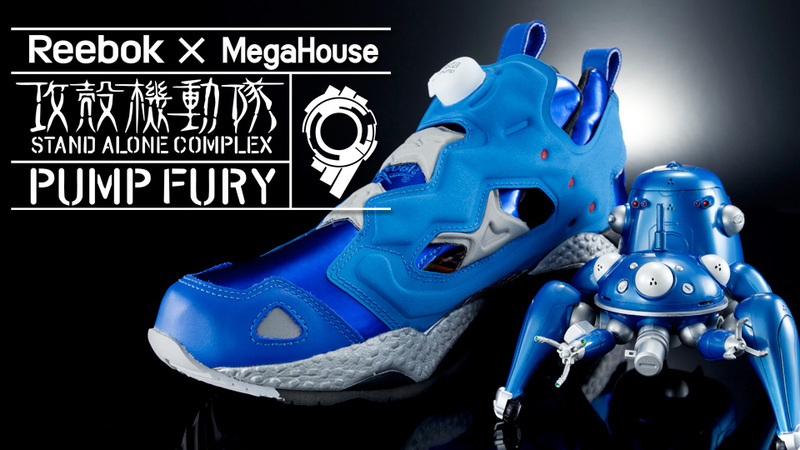 MegaHouse x Reebok Instapump Fury "Tachikoma"
Ghost In The Shell: Standalone Complex is easily one of the early 2000s' greatest hits when it comes to animé. This pair of Instapumps pays tribute to the Tachikoma robots from the series, but are also a great colorway in and of themselves. 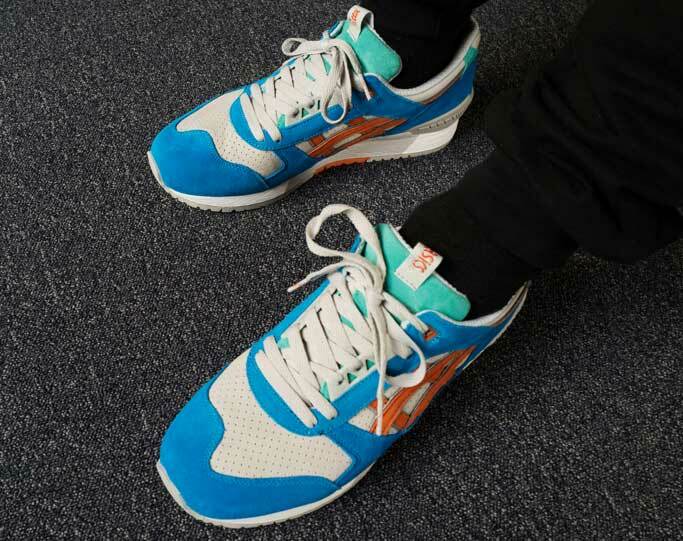 There isn't any obvious reference to animé in this Asics GEL-Respector, but collaborator Patta claims that it was "inspired by rich, colorful animé films and characters such as tropical fish and mythological creatures." Whether or not you believe that doesn't matter, because this pair looks incredible in any case. While a lot of you might remember Neon Genesis Evangelion for inappropriate reasons that we don't need to know about, you might still remember Unit 01—the purple-and-green Evangelion that inspired this colorway of the adidas Crazy Fast. Nike Air Zoom Brave IV "Manga"
Long before the Slam Dunk Jordan 6s came around, the series' illustrator Inoue was already doing sneaker collaborations. 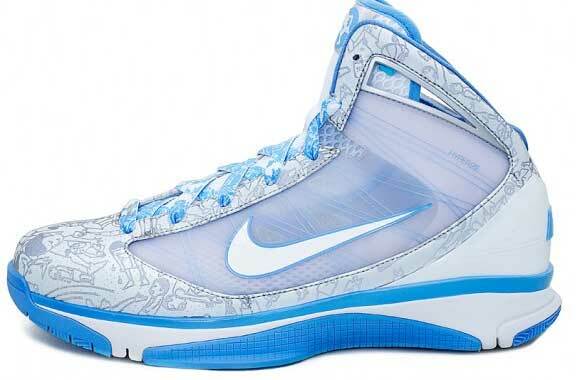 In 2009, he and Nike came up with a nice, soft blue colorway of the Air Zoom Brave IV. Look closely and you'll see faint images printed on the upper—chibi-esque doodles of people playing basketball! ASICS' Gel Kayano has been a pretty big hit since 2014, but one of its more out-there colorways is this one, dubbed "Manga," for its clear references to the manga-style typography of the katakana (a component of the Japanese writing system). 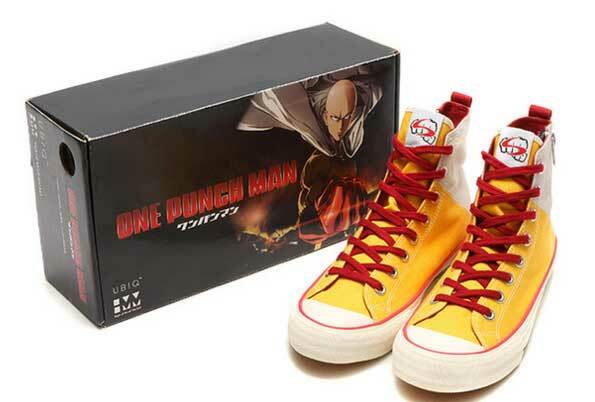 Inspired by One-Punch Man's bald protagonist, Saitama, this pair is the newest in this list, having been launched in Japan just this December. 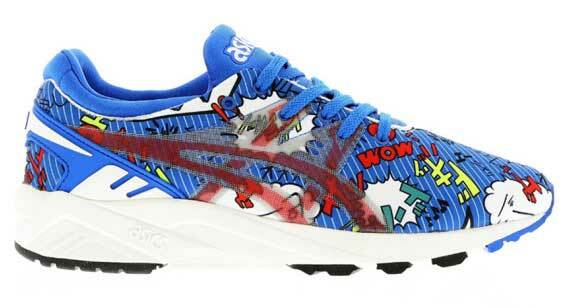 With a colorway dominated by the colors red and yellow, it's an unmistakable reference to the hit animé series. For those clueless, though, it might look like a pair made in partnership with McDonald's. These might not be the prettiest shoes around, but you can't deny how unique their colorways are. 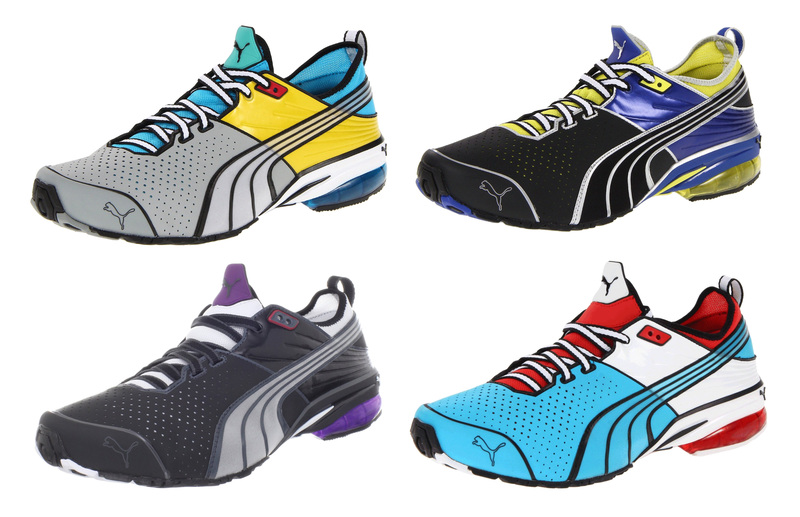 Bold black outlines and bright colors are visual cues taken from animé and comics, applied to a pair of shoes that looks great for a run. BONUS, FOR YOUR GIRL: Colette x Keds "Doraemon"
And of course, there's a little something for everyone, even the female Doraemon fans. 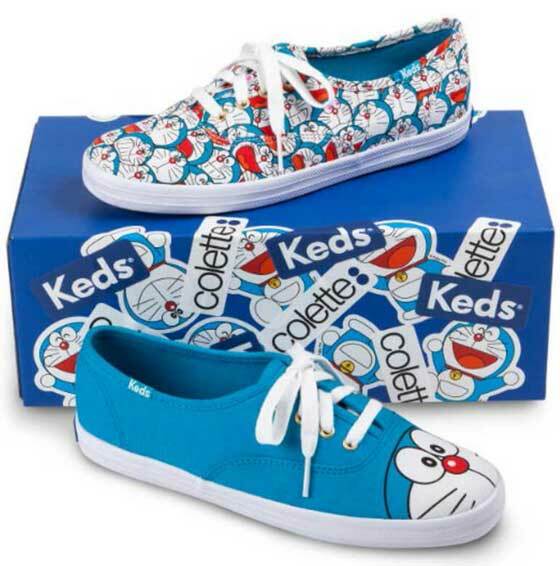 Parisian boutique Colette once partnered with Keds to release a pair of cute colorways in Doraemon's signature blue. 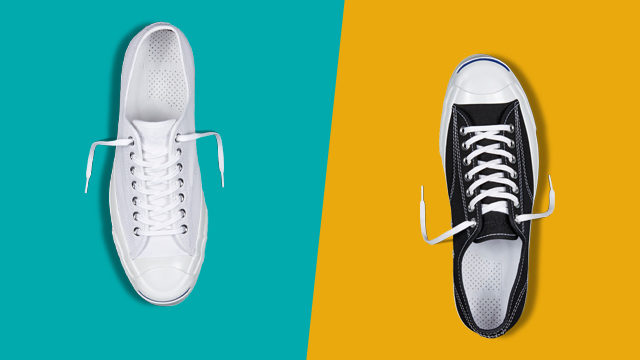 The Latest Version Of This Converse Classic Is Now In The Philippines!